Local radio station Erewash Sound is getting behind a sleepout in support of the homeless. 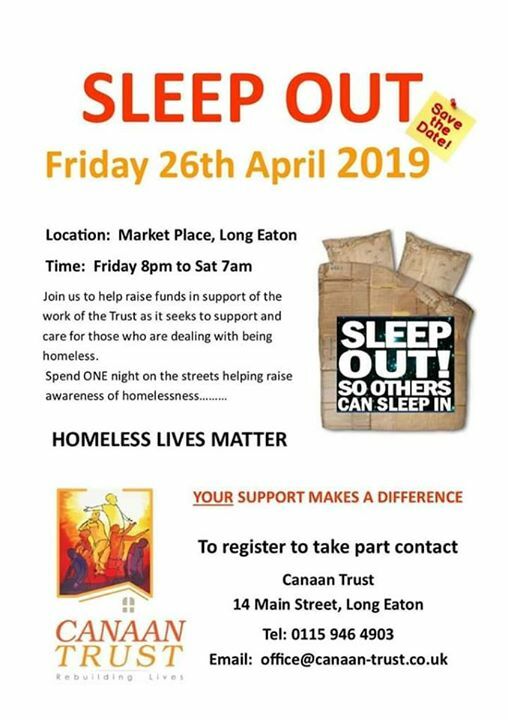 Canaan Trust has organised the event, which sees supporters sleeping out in Long Eaton Market Place all night from 8 pm on Friday 26th April through till 7pm on Saturday. Erewash Sound will be broadcasting a live request show through the night, and there will be interviews with the organisers and some of those taking part. Presenter David O’Connell, along with the Rev. Christine French (who co-presents for an hour on Fridays) will be two of those sleeping out. “One of the key objectives of the Sleepout is to raise awareness of the issues relating to both ‘Rough Sleeping’ and ‘Hidden Homelessness’. There is still time for you to take part or sponsor someone. Look on our Facebook page. To request a song, go to the Erewash Sound Facebook page. 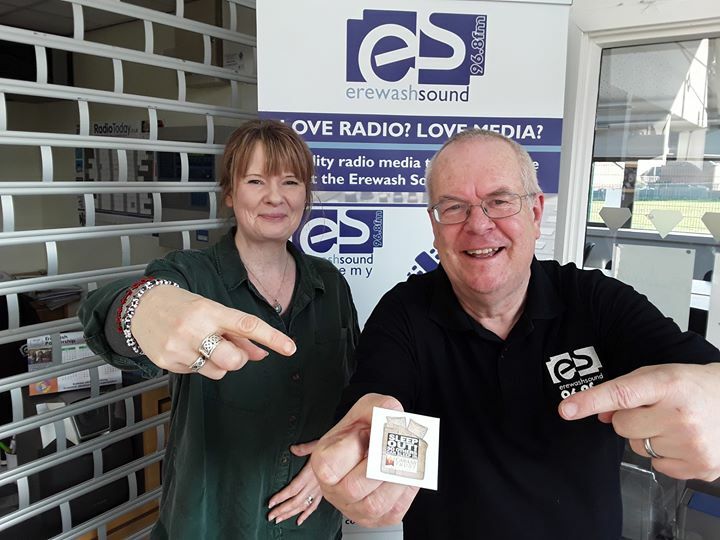 To sponsor David and Christine, email [email protected] And you can listen to Erewash Sound on 96.8fm, online at erewashsound.com, or via their free app.